As you can imagine, offering 100% scholarships to first-year campers makes it difficult to improve and even maintain our facilities. We need you. 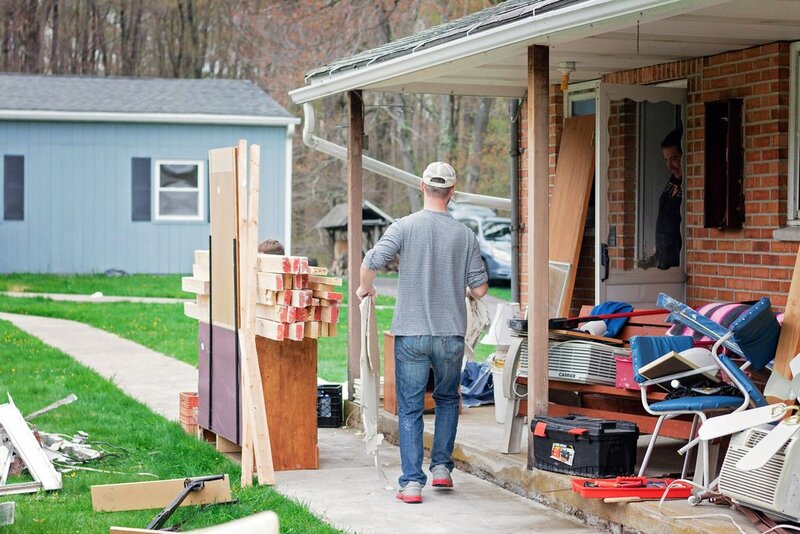 Help us revitalize two previously unusable suites and repair two roofs. In years past, rooms 24 and 25 were used to house our volunteer teachers during the summer. Over the years, moisture became a problem, making these suites unusable. They've laid dormant for over a decade, and we need your help to bring them back to life! Because of the growing demands of our summer program, we need to revitalize these rooms to accommodate more guests. Fixing these cottages will enable PMBC to bring in more volunteer help during the summer to help mentor, teach and work alongside our campers and summer staff. During the non-summer season, many of our guest groups are hosting family-focused retreats: family-friendly lodging is in high demand. On May 12, 2018, twenty volunteers joined us in gutting rooms 24 & 25 down to the cinder blocks. We are currently gathering estimates to have a better understanding of what the total cost will be. Previously, these cottages had a sitting room, bedroom, and bathroom. All of these rooms were incredibly tiny and cramped. We will adjust the floor plan to have an open layout similar to our family cottages- a large open bedroom with a queen-sized bed, bunk bed and a sitting area, complete with a comfortably sized full bathroom. We want to finish these cottage renovations by November 2018. 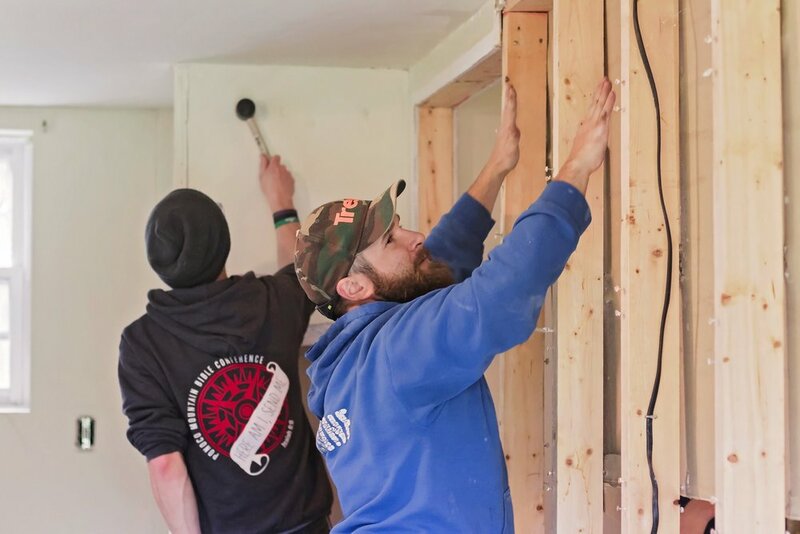 Help us complete the Pastors' Cottage renovations with your skills or by donating toward this project. Checks can be made payable to PMBC and annotate "Pastors' Cottage Reno & Roofs;" mail checks to 191 Clifton Beach Road, Clifton Twp. PA 18424. Donations can also be made online here. Our roofs covering rooms 20-23 and the Pastors' Cottages are in dire need of repair. Not too long ago, many supporters came together to fund the renovation of rooms 20-23. We want to honor their legacy by preserving these rooms the best we can. So far - we had someone inspect our roof and confirmed that the roof has no life left. The contractor noted that there could have potentially been hale damage. We had an insurance adjuster evaluate our roofs and deemed that they had no life left, and we were unable to collect a claim for any potential hale damage. We want to repair these roofs by September 2018. Help us repair our roofs with your skills or by donating toward this project. Checks can be made payable to PMBC and annotate "Pastors' Cottage Reno & Roofs;" checks should be sent to 191 Clifton Beach Road, Clifton Twp. PA 18424. Donations can also be made online here. Older PostSpring Work Day: Success!